In 1904 Thompson Bros. Boat Manufacturing Co. made its first home in the small, northern town of Peshtigo, Wisconsin starting the legacy of a family boat building business. Always thinking big, and confident in the craft and durability they brought to the boating industry, the second generation of Thompson’s built wooden lapstrake outboard cabin cruisers in Oconto, Wisconsin in the 1950’s. in 1965 wooden boats were replaced with fiberglass. Today, Cruisers Yachts is part of KCS International Inc., which includes sister company Rampage Sport Fishing Yachts. Cruisers Yachts is known as one of the world’s premier manufacturer of midsize to luxury pleasure yachts and produces 11 models from 30 to 56 feet in its Oconto facility, including the much anticipated 48 Cantius Sports Coupe which has recently been awarded “Best Interior” by MotorBoating. 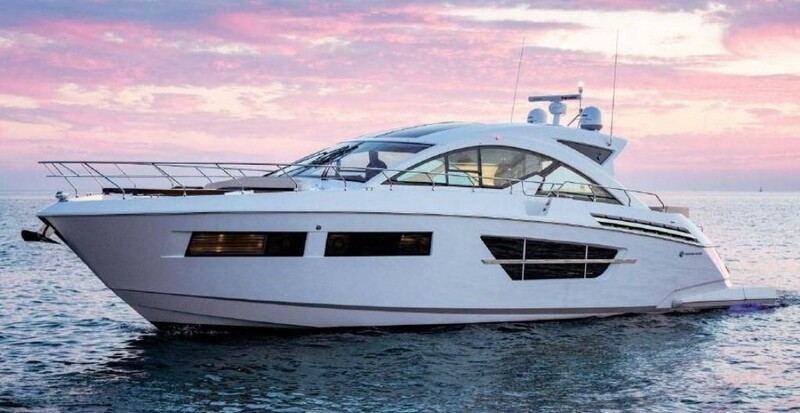 Buying a Cruisers: We offer used Cruisers Yachts for sale worldwide, including Cruisers Express, Cruisers Cantius, Cruisers Sport Sedan models and more. Contact our sales professionals for immediate assistance. Selling Your Cruisers: With a team of experienced yacht brokers and marketing professionals, we will employ a comprehensive marketing approach to ensure your vessel receives maximum global exposure online as well as exposure in person at major boat shows. Learn more about how SYS Yacht Sales will help to sell your Cruisers yacht!